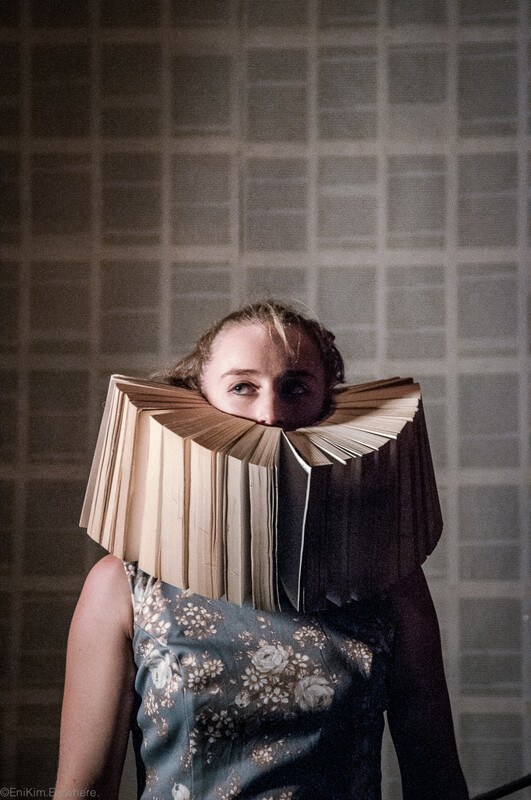 Following her highly successful debut, Triptych, Alice Allart is back with another wordless physical theatre gem: These Books Are Made For Walking. 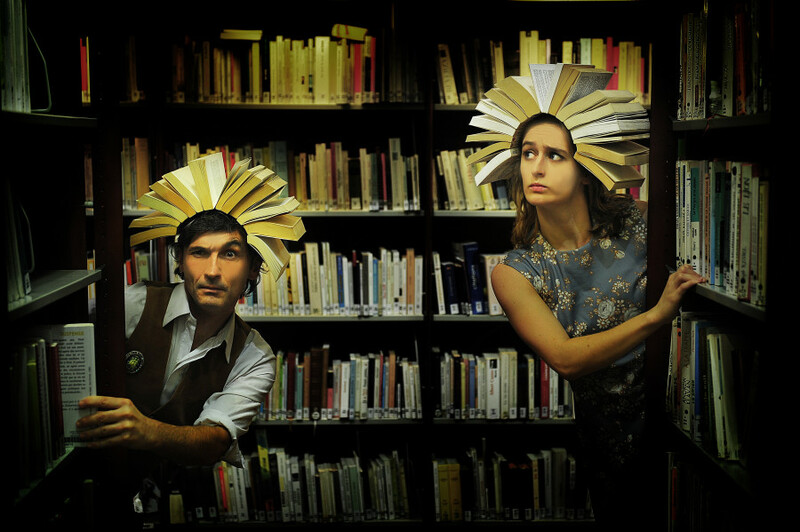 These Books Are Made for Walking is a wordless journey, two performers balance between the lines in this barmy bibliophilic skills based show that is ludic, lyrical and literary. These Books Are Made for Walking has been developed to tour in theatres and in libraries (there are 2 different technical riders, ask us for more details). The company plan to work with a team of ASD specialists to offer relaxed performances for children and young people on the autistic spectrum. Alice Allart is a young circus artists who specialises in trick cycling, slack rope and object manipulation. She is strongly influenced by visual art, cinema and literature, which gives her work a strong visual identity. French born, she pursued her training at the National Centre for Circus Arts (NCCA) in London where she graduated in 2010. 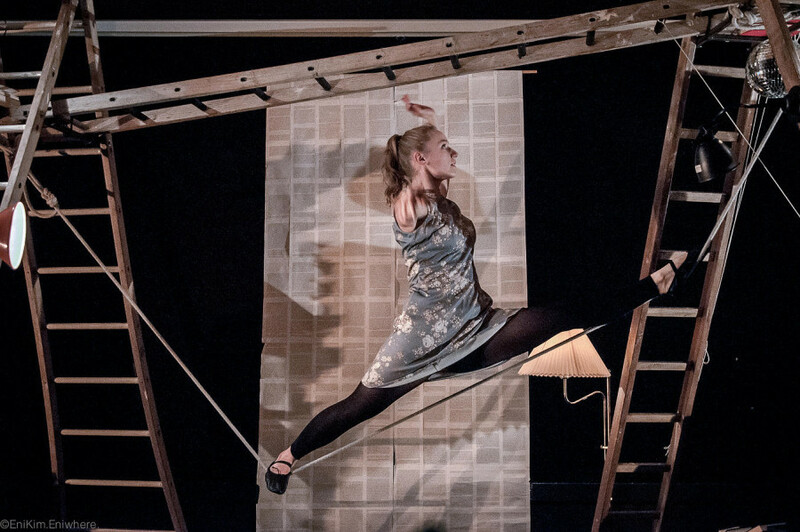 Since then she has toured with international companies (Stumble Dance Circus, Keziah Serreau, Ilmatila, Osborne&What) as well as creating work under her own name with her company Bikes and Rabbits. Her first piece, Tryptich (2013), which has toured internationally, was a solo mixing of trick cycling, slack rope and object manipulation. Crying Out Loud is supporting and developing Alice’s artistic practice, and helping to expose her to a wider UK and international audience. She will also create work for Opening Out, our strand or work dedicated to children on the autistic spectrum.